This is the second James Bond one shot I’ve done. Of course James Bond would bring me out of retirement. But despite its mostly film like structure it might be the one least like any particular Bond movie. Ibrahim Moustafa is both writer and artist on this jaunt and it really is that. It’s a strangely breezy read for a story that seems so personal. 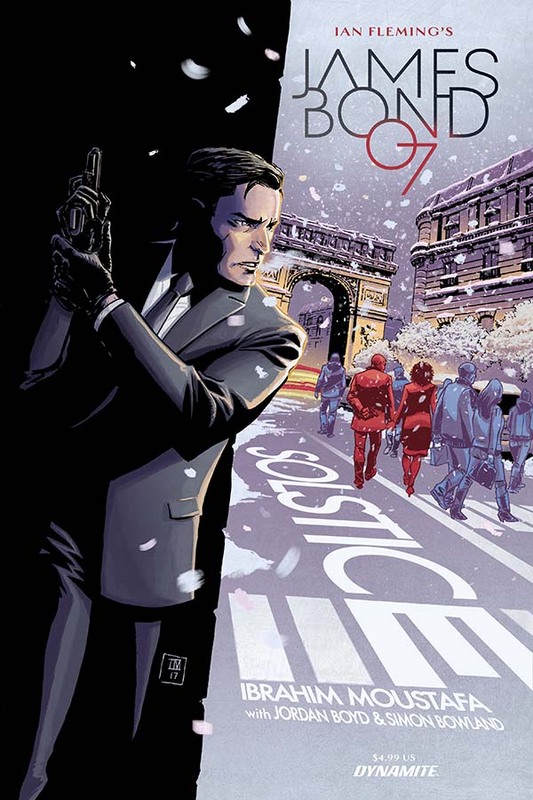 The “book jacket” premise is that Bond gets an extremely sensitive, secret mission in Paris that only he can do and it is that but the story is really “A James Bond Christmas” and that works really beautifully. Moustafa gives us how James Bond would do Christmas, with colleagues and involving a murder. Moustafa’s Bond feels like the pithy Bond of Connery fame, the Bond that is weighed down by the job and pours himself into it to avoid thinking too hard about the simple art of murder. I think it works here. While perhaps I wouldn’t enjoy it over the course of an entire arc Moustafa keeps it light and fresh. It’s not hard to read this Bond. In fact, there’s not a lot of reading to do. Some of the best sequences of the book are the long stretches where your mind can do little else but conjure the music of David Arnold or Thomas Newman. It’s a fantastic book in that it encourages you think thing beyond it and bring in the atmospheric stuff you know is missing. Jordan Boyd’s color work is also great. At times it can hem a little close to the color palate of the DCAU but for the most part its visually interesting and it does a surprising among of thematic work. Bond’s sneaking mission is blue, the skies of Paris at night are purple, a rich and vivid indoor fight is orange. The colors might not be working to communicate anything particular about the story other than tone and feel but that’s a thing that they should do and Boyd employs them well. does all it needs to and hangs up its jacket at the end. I’ve been sitting on reviewing this until the new Netflix series started, which it did this past weekend. For anyone looking to get a quick modern introduction to The Punisher and Frank Castle, this is where to start. While I’ve always enjoyed the Garth Ennis and Steve Dillon storyline “Welcome Back, Frank” that storyline is more of a payoff for longtime Punisher readers who felt the character was put through the ringer of the ridiculous for the better part of the 90’s, and were just looking for a back to basics “Punisher takes on the mob” storyline, with pitch black humor typical of Ennis’s writing. I would recommend reading that after giving this a whirl, since this takes us from the beginning and then essentially makes a leap in time to a Punisher at an advanced stage in life, and in his “war”. After watching a few episodes of the Netflix series over the weekend it can even be argued that this new live action Punisher story fits into this overall Punisher MAX storyline, although I still have one big complaint. This collection begins with the Punisher: Born miniseries. Originally published in 2003, Born takes us back to the Vietnam War in 1971, where Captain Frank Castle and his unit are stationed at a doomed base that is on the verge of being overtaken by the Vietcong. The story is told from the perspective of one of the men in Castle’s unit, a common narrative choice made by Garth Ennis when he writes the Punisher. 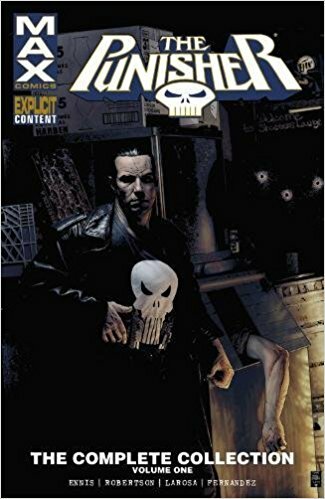 It is a wise choice as it offers more flexibility than the typical “Punisher War Journal” inner monologues frequently used in past Punisher stories, and also allows for the reader to fear the monster from afar. By the end of this miniseries Frank Castle has made a transition from a duty-bound family man to the inhuman murderous psychopath who will never be satisfied no matter how many thousands of criminals he kills. It’s a brutal horror storyline with an ending that can be interpreted in multiple ways regarding what happens to Captain Castle. Next up is the storyline “In the Beginning”, which is more of a Punisher vs. The Mob storyline that also introduces Microchip into the Max continuity. One notable thing about the Punisher Max series is that there are no appearances by or references to superheroes from the Marvel Universe, save for Nick Fury. This was an excellent choice by Garth Ennis because it eliminates what should be the factor that ends Castle’s war again and again. Also, as evident by series like The Boys and even Ennis’s previous Punisher runs, Garth Ennis holds little regard for superheroes. 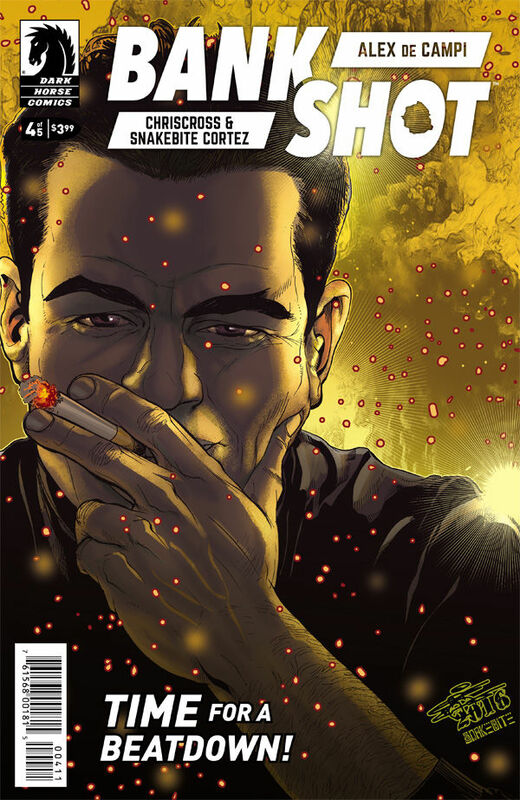 This grim storyline sets the tone for Ennis’s run until issue 60 of this series. It also echoes Born quite nicely, expanding on the war that began at the end of that story. “Kitchen Irish” is the storyline that rounds out this collection. It’s an odd one that I enjoyed, mainly because it brings out more of Garth Ennis’s voice as a Northern Irish ex-pat in New York City. The violence and insanity in this story seem especially odd when references to locales familiar to me are made, especially to Inwood, my current neighborhood! Many may have problems with it though, as the Punisher is more of a side character to a rich collection of thugs, thieves, IRA and Westie-related criminals brought together to find a Macguffin left behind by a recently deceased Irish crimelord. There’s something tragic about the motivations of these awful people who are basically born into crappy lives, in that they are destined to be executed by the Punisher and his rogue British sidekicks before finding a trove of money that may help them out of their criminal hole. There’s more to the thousands murdered than just as cannon fodder for the Punisher. It’s also interesting to see Castle helping out wounded people in the beginning and trying to save them, reminding us of the sliver of nobility left in this destroyed man. While the previous storyline is about a man leaping from humanity into the abyss, this storyline seems to show that the man still exists in the darkness. Ennis’s Punisher works because he is no longer a man living a life anyone would want to live. Which brings me to the Netflix series. While watching a few episodes of Marvel’s The Punisher over the weekend, I thought about the in-between. What about the time of the Punisher and Frank Castle between his family’s murder and his advanced-stage war on crime? While I’ve had issues with the Netflix execution (as always), it’s a solid idea that generally shines through. There is more than a sliver of humanity to this Frank Castle, and he is trying to seek help in treating the crippling PTSD of his military time and from witnessing and failing to prevent the murder of his family. When he is wearing the skull body armor he is the man consumed by darkness, but for a brief moment in the beginning of this season the man he was is allowed some screen time as well. Still, this may be the wrong time for the Punisher, at least the somewhat likable family man that the show writers of this Netflix series are trying to present, which is my one big issue. The Punisher is a work of fiction of a character from another time. These days mass shootings are a common thing, way more of a problem than mob and gang crime in Manhattan, which was more of a massively wide-scale problem last century. It’s become apparent that a different take on the Punisher is necessary for him to continue, so that morons with upgraded automatic machine guns don’t shoot up public places. No, saving up a cache of military-grade weapons will not solve the crime in the world, or even New York City. No one person should be judge, jury and executioner. The Punisher is a work of fiction not to be emulated, and even in the few episodes I saw of the TV series I thought about how the people killed often didn’t need to be, no matter how awful they were. Like the narrative in so many storylines in Garth Ennis’s MAX run the Punisher should be looked at from afar in horror, and we should not be put in his head. My main problem with the Netflix series is that the Punisher is presented in a modern context essentially the way he’s always been and generally as a POV character, when maybe he should be presented as a man from another time, motivated by the Vietnam War in a period piece story, or as an old man. Unless the storytelling is adjusted along with the war change then the Punisher as we know him should always remain a by-product of Vietnam, a residual and almost spectral nightmare left over. Punisher stories are not to be emulated, but sure enjoy it as a piece of extreme noir fiction and vigilantism. The key word being ‘FICTION’. While I wholeheartedly recommend this Garth Ennis collection, I’m holding off on recommending the Netflix series until I see where it goes. After a two-plus month hiatus, Bankshot is back. I’d say I had forgotten about it, but that’s a bit of an exaggeration. One doesn’t just forget an Alex De Campi book. It’s more truthful to say it took me a bit of memory flexing to remember where our friends and foes left off. Re-reading issue #3 to prepare for #4, I experienced the same dizzying excitement in trying to keep up with all the action. Marcus King is at the mercy of the Dutchman and his goons. They’ve got him strapped to a gurney, ready to extract the nanotechnology that makes him a super man. And they’ve got his love Soraya at gun point, in case King tries anything funny. But, in a twist that I won’t fully spoil, Soraya isn’t as helpless as she seems… . On paper, Bankshot looks simple. Ex-soldier enhanced by nanotechnology gets revenge by punching lots of people in the face (or stabbing them, or shooting them in the eye, you get the point.) But De Campi always puts a fresh twist on an old tale. She’s got a jones for action and violence, yes, but she juggles the current action and back story segments like a masterful film director, using cliffhangers within cliffhangers. And just when you’re at the height of the action roller coaster that is “now,” we leap back to “then” to dive a little deeper into King’s story. 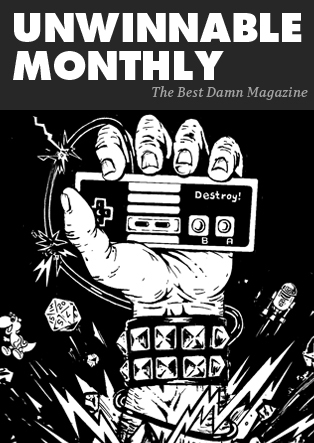 And just when we’re about to find out more about “then,” it’s back to the blasted action! The team of Chriscross on art and Snakebite Cortez colors (I’ve said it before, but are these real people or just De Campi characters?) fit a lot of action in each panel, without overcrowding or resorting to double splash pages. Many scenes take place in the dark, lit only by bursts of gun fire, but it’s still easy to follow the action. There are definite exploitation film touches to Chriscross’ and Cortez’ work, but for how violent some of the action in Bankshot can be, the duo does know when to understate things. Bankshot wraps up next issue, but there’s still unresolved tension and other bad guys ready to take down our heroes. If only King had answered his phone! What’s going to happen to Reg? Part of the fun of a mini-series is wondering what we might not see resolved, on which we can speculate and extrapolate over future reads.